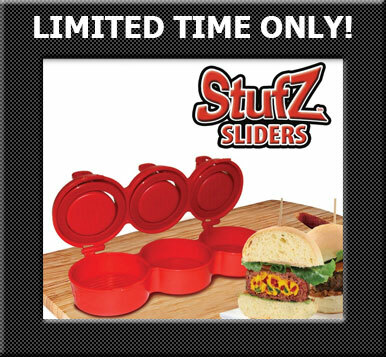 With the Stufz™ hamburger press, you can now enjoy limitless possibilities in crafting the way you grill a burger! Simply use the burger maker to create space in the middle to place any ingredients in and then seal it and grill it. Place a 1/3rd lb. of either beef, chicken, or turkey burger into the Stufz™. This will create a large cavity for the ingredients. Mold a patty at the top of the burger press to seal it in. That’s it! Now you’re ready to grill and enjoy. 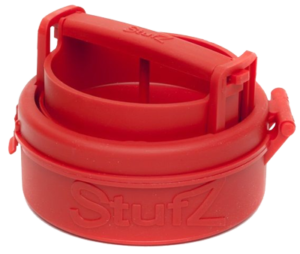 Your Stufz™ not only is very easy to use to build the perfect burger, but also disassembles effortlessly to place in the dishwasher to clean. 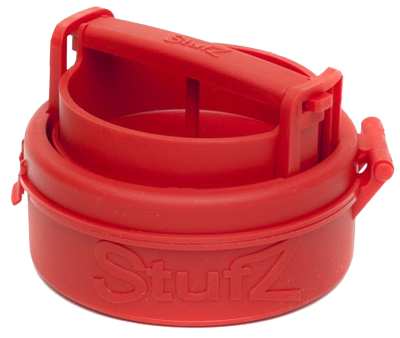 All parts of the Stufz™ is dishwasher safe, so clean up is a breeze! Some burger fans love to pile everything on their burger. They pile so much on top of the patty, toppings split off to the side after the first bite and can create a mess. With Stufz™, you have ingredients inside the burger, so you can dedicate more space to your toppings!